After completing Bedikat Chametz, Ayelet HaShachar (“AH”) donated a Sefer Torah, Siddurim and Taleisim to Kibbutz Mishmar HaNegev. The member from that Kibbutz who picked up the Sefer Torah, etc., has been learning in AH’s Chavrusa Project for five years. His story is our story: people get connected through Chavrusa. They learn about their Judaism and become so excited about their learning that they want to pass it on to their friends who have not yet learned! Passing on learning is the essence of what we do each Pesach by reading the Haggadah: we are all learning and re-telling the story of the exodus – passing it on from generation to generation – to all Jews, all “four sons”! 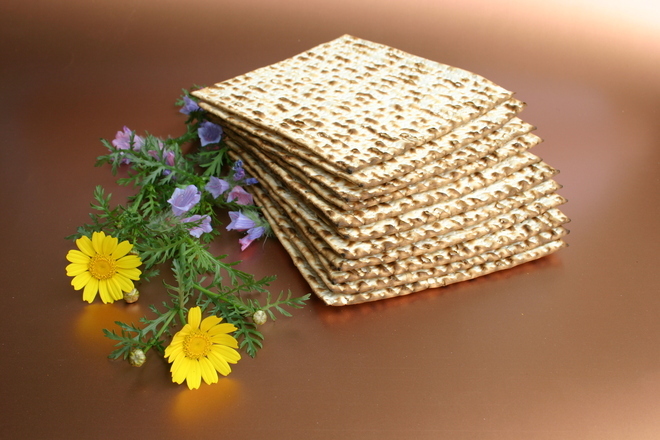 FIFTY-THREE COMMUNITIES HAD SEDERS ON PESACH! Leil Seder is a very big event on secular Kibbutzim and Moshavim throughout Israel. Many members of these Kibbutzim and Moshavim asked Ayelet HaShachar to send traditionally religious families to lead their Seders. Ayelet HaShachar sent its religious volunteers to fifty-three Kibbutzim/Moshavim where these dedicated volunteers led uplifting, inspirational, and traditional Seders on Pesach. In AH’s Shevat Newsletter we told you about the Night Batei Midrash programs in memory of Rabbi Eliezer Rosner ZT”L. 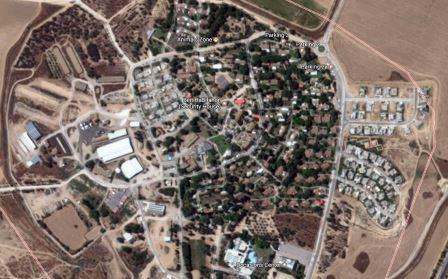 The 15 Batei Midrashim opened offering learning at night to members of many secular Kibbutzim and Moshavim. Before Pesach, AH held an event in Kiryat Tivon in memory of our Rabbi Rosner ZT”L. Rabbis Dovid Grossman, head of Migdal HaEmek and Micha’el Gutterman, head of Shuvu attended and spoke. HaRabbonim HaGaonim, Rav Usher Weiss and Ha Gaon Rav Yaakov Hillel shared shiurim about Rabbi Rosner. See the attached link to watch the beautiful event. SEFER TORAH DEDICATION AT PELEPHONE! The workers union at Pelephone’s (a large Israeli Cellular Phone Company) Givatayim headquarters which has approximately 1,000 employees, negotiated for months with the CEO of Pelephone to provide them a room where they could daven daily. After receiving permission, members of the union approached AH for a Sefer Torah and other assistance in completing the Schul. 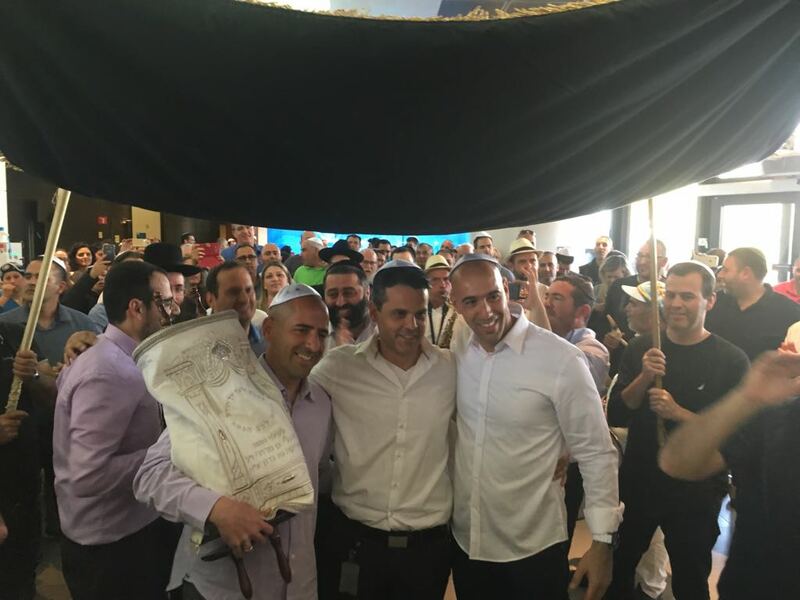 On Thursday, 20-April 2017 the Sefer Torah was formally dedicated. 200-250 Pelephone employees and other guests participated. In addition to the very moving dedication ceremony, attendees sought and received brachos from Rav Shlomo Raanan head of AH. The Sefer Torah was escorted into the beautiful little Schul, where Rav Dovid Lau Chief Rabbi of Israel spoke applauding the workers’ unstinting efforts and Ayelet HaShachar’s tireless work and dedication to helping Jews reconnect with their Jewish roots.